From initial enquiry stage, we will provide you with a unique reference number (please use this in all correspondences and also as your reference when making financial transactions such as deposit, balance of payment or securing any extras). 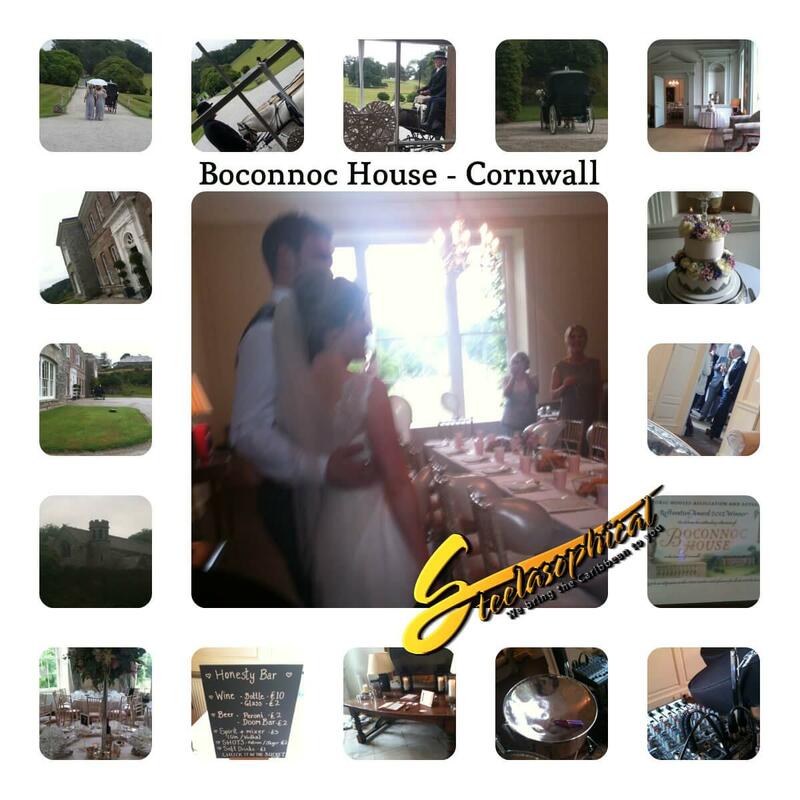 Its what we do Full-time music professionals specialising in enhancing wedding days. This means when we are not working in our music business, we are working on our business. It is a passion and full time life dedication. There is no needing to book holidays or wait to clock off before we can get to your wedding! Not just another gig to us – we bring much added value, reliability, trust and commitment as standard. One clear example is never aim to arrive on time – always schedule to arrive up to 2 hours prior to arranged, so that if any mishaps happen along route (traffic, breakdown incidents etc), we are stand the best chance of being well within our min arrival time. Punctuality is a mind-set, and one of the many hidden things we do to over deliver. Proven track record – respected throughout the entertainment industry as a leader and pioneer. If we were not at the top of our game, we would not be able to not only lead where others try to follow, but thrive even in these recessionary times. On the World Stage – Love to perform live, but my music also reaches the entire globe thanks to international music sales and songs used in advertising, TV and even a motion picture. (Something to tell your guests!!) Gary Trotman with music in the James Bond 007 movie Casino Royale. A winning musical entertainment performance on TV’s Come dine with me. Internationally selling recording artists with albums selling world wide in over 42 countries. One of the ways Steelasophical over-deliver, is in our visual media. We often video aspects of the wedding performance. 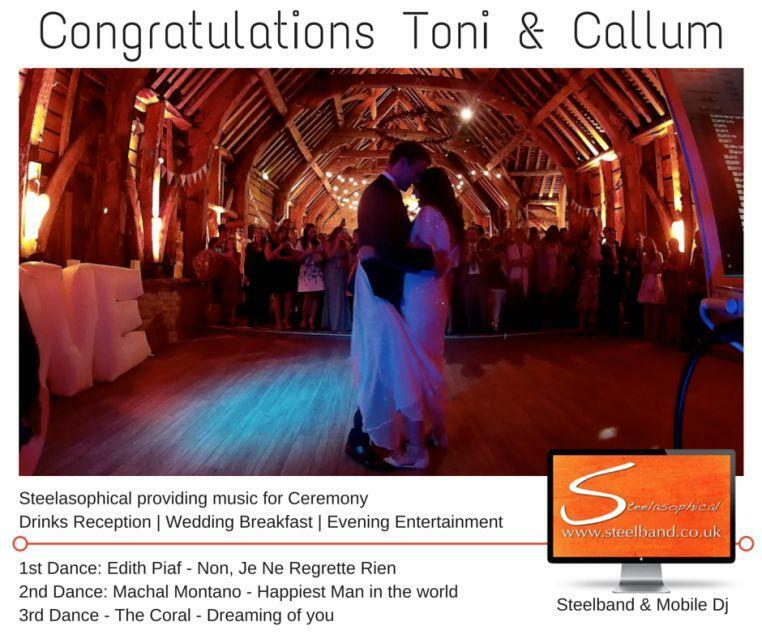 This picture was taken from a video still as we provided the music for Toni and Callum first dance. It turned out to be one of their most favorite pictures of the entire day. It was unique view not captured by the main photographer – and one we are very proud to share. Steelasophical provided the music for the entire day for Toni and Callum. 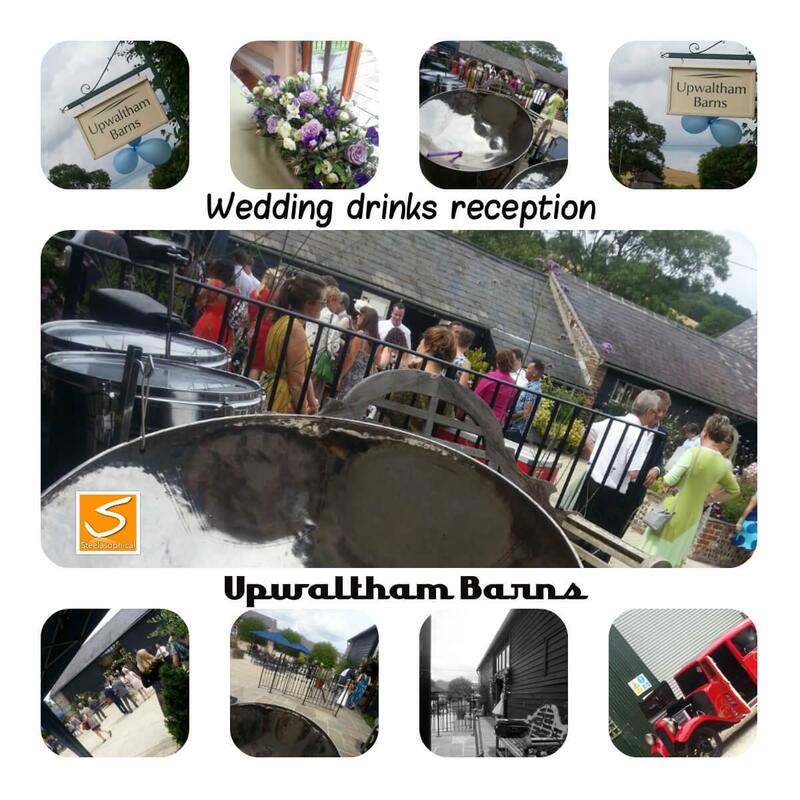 Ceremony (acoustic duo), Drinks Reception (steel band duo), Wedding Breakfast (ambient music dj & mic for speeches) and then the entire Evening Entertainment (Steeldrum band, Mobile Dj and wedding singer). The Caribbean influence was important to Toni, as one side of her family are Trinidadians and quite a few flew over from Trinidad to be there! We were also booked to provide the wedding day music for a work college of Toni a few moths later at Ocean Kaves, Westward Ho (another of our fav venues)! 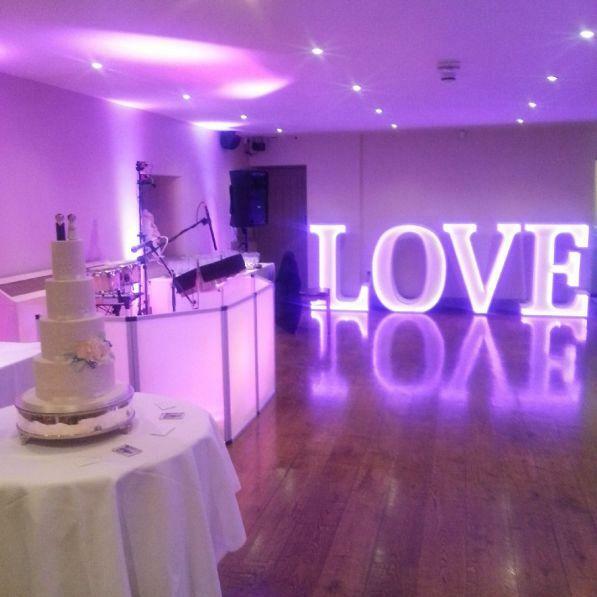 Here are a few of our most recent reviews and as you will, we really do put our customers first, and completely understand how important YOUR special day is. Look, lets be honest – there are probably a hundred other musical entertainment choices out there and I know choosing the right one for each aspect of your wedding day will not be easy. The caribbean steel band played at our wedding in October. We were only expecting a solo performance but were delighted when a duo played. Made the evening, everyone loved them and commented on. 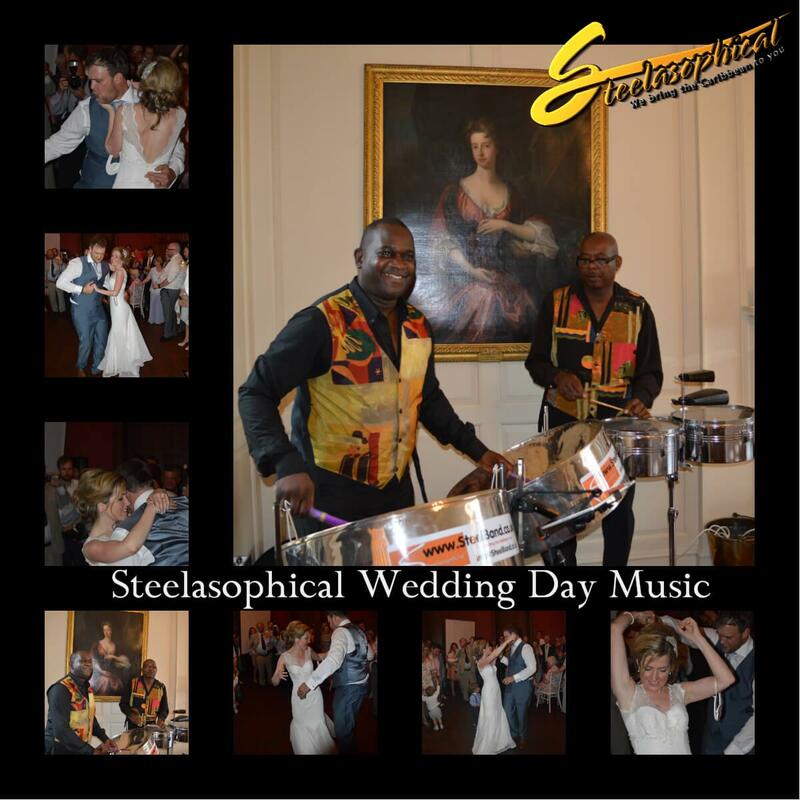 “After researching, reading endless reviews and talking personally to dozens of Caribbean Steel Drum bands, we decided to book Steelasophical… They didn’t disappoint, they were professional, entertaining and overall amazing. Thank you Sarah Jane for the easy booking and cheerful responses to my endless pre-booking questions, and to Gary for providing perfect music. Lots of our guests commented on what fun it was to have Calypso music. Gary is delightful. Thank you. The Caribbean Steel Band were professional and fun. Early on arrival and had a really neat set up. The guests loved them and were invited to drink after the performance. Top musicians! And also a real gent. Superb, music was wonderful – just right for our 7 year itch party! Gary was a star so relaxed and helped the party to really go with a spring. Could not have chosen a better booking and star performer – thoroughly recommend. Steelasophical provided: Music for welcome drinks as guests arrived and throughout the drinks reception. 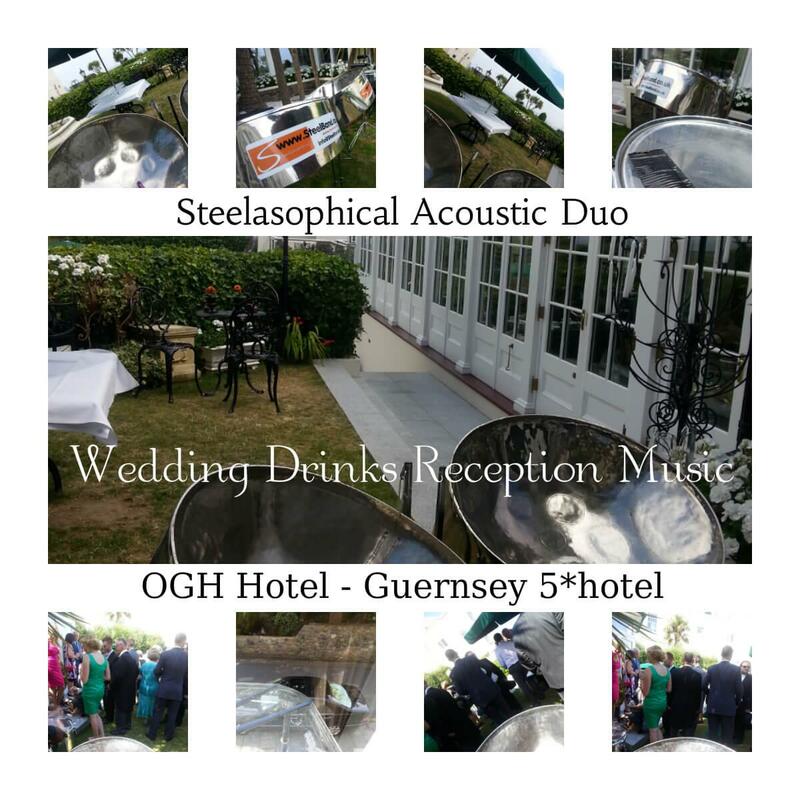 Steelasophical provided: Music for welcome drinks : We were flown to Jersey in the Channel Islands to help bring a true authentic musical flava for this wedding drinks reception. The reception were held on the family home grounds .. an amazing location and beautiful people. 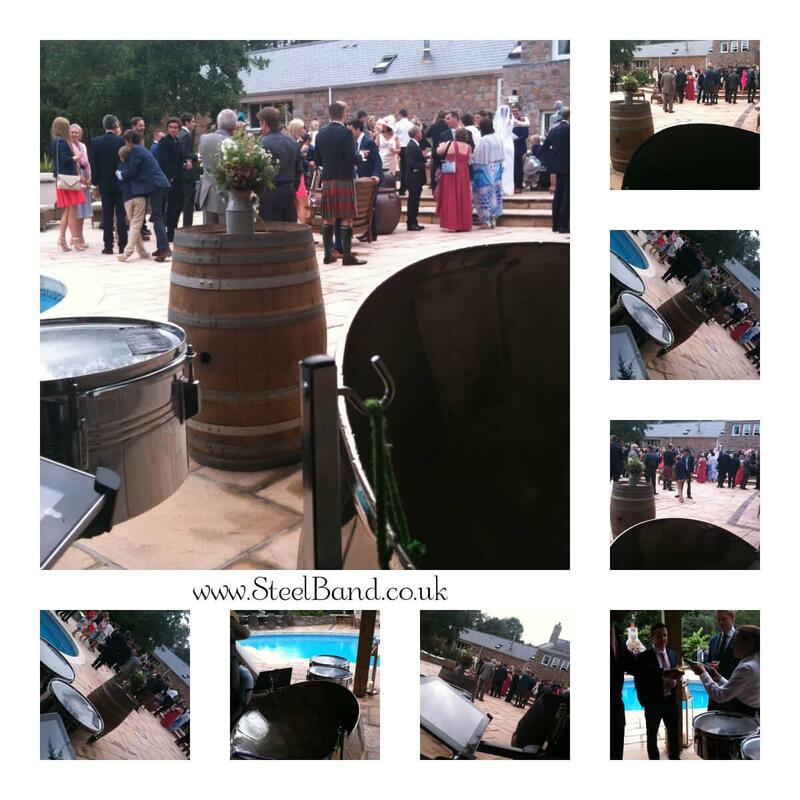 Steelasophical provided: Music for the ceremony, drinks reception and wedding breakfast. 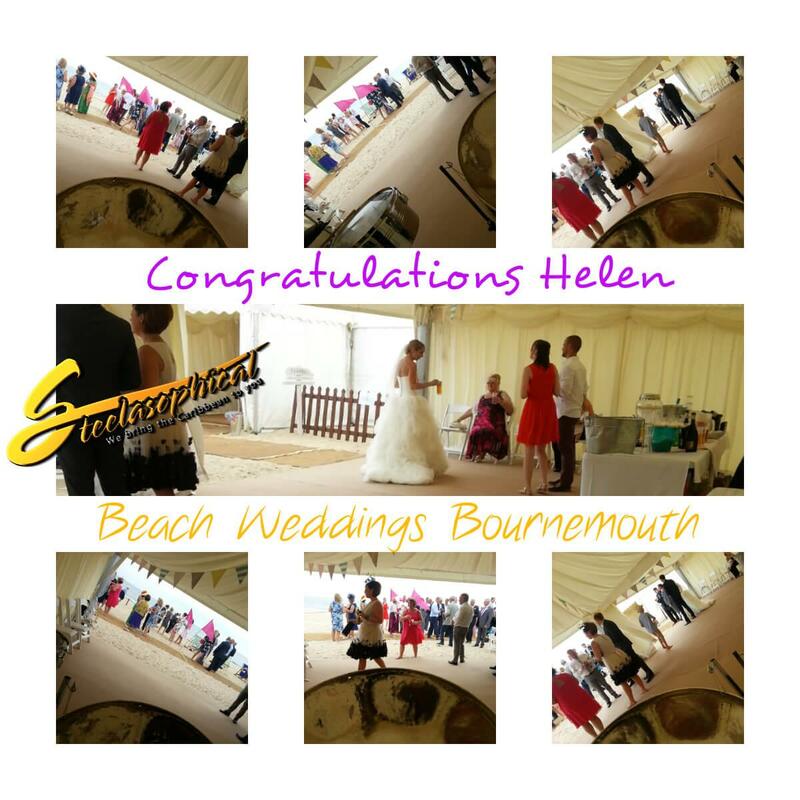 Beach Wedding Bournemouth is one of our fav UK venues. 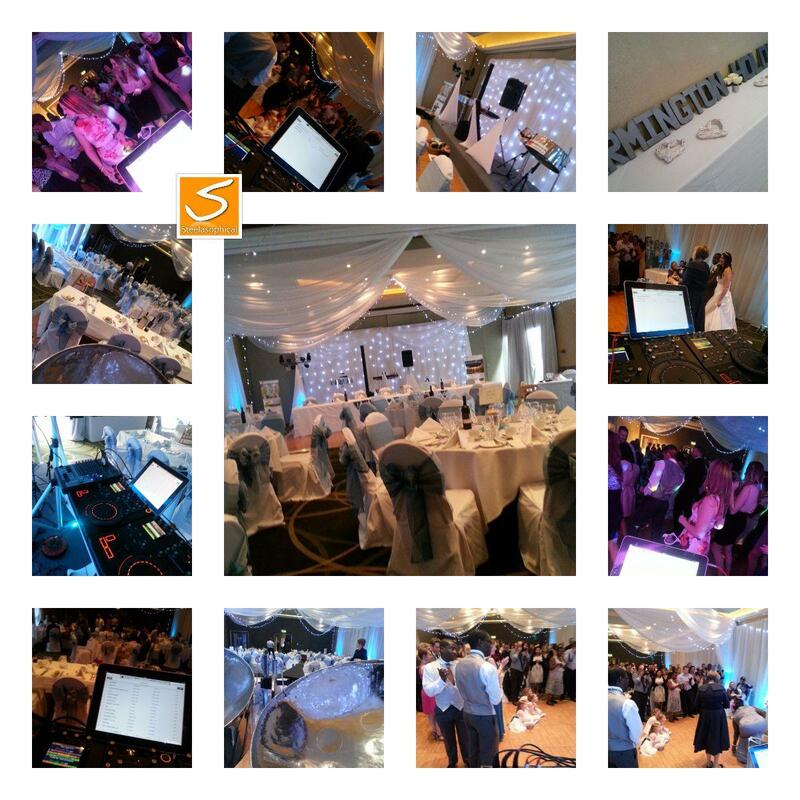 With no access to power, Steelasophical utilises a special PA system perfect for background music … but was also noted that we were the first band to ever people up and dancing after the wedding breakfast!! So here’s where we’re unique. We offer a FREE CONSULTATION, FREE SKYPE, FREE PHONE CALL, UNLIMITED EMAIL EXCHANGE, where we can see if we’re a ‘good fit’ – if during our time together, at anytime I feel Steelasophical couldn’t make a positive difference to your wedding day, I’ll be honest, and tell you straight away.But, if I feel having Steelasophical as part of your day would make a positive difference I’ll let you know. Hopefully that’s given you a good introduction into Steelasophical. If you have requested a quotation, we will provide you with that within the next 24 hours with further package and pricing information, along with my suggestions based on the information you’ve given me. We even look the part! The level of trust in Steelasophical is so high, that ever client is more than happy to invest in the 40% deposit to secure our services and then pay the remaining balance of 60% no later than 30 days before their day!! We can play for as little as 30mins to welcome guests as they arrive at the ceremony or a perform for the entire day from ceremony through to evening!! We will enhance any chosen part of your day that you choose .. and happy to liaise with other suppliers and venue staff on your behalf. Drinks Reception – The perfect backdrop while you have pictures taken, enjoy canapes and drinks. 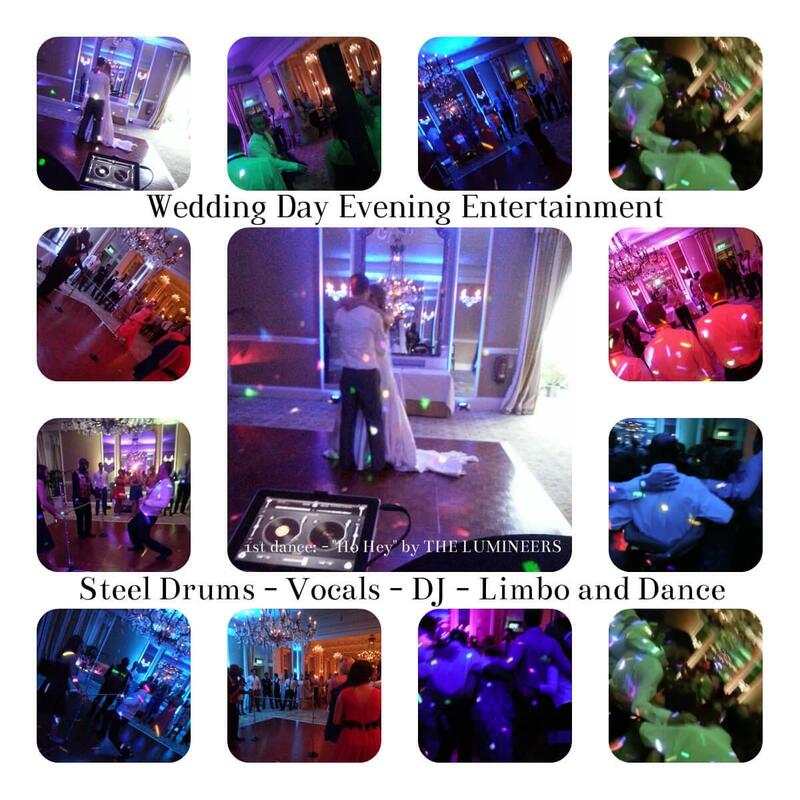 Wedding Breakfast – Our ambient music dj / Steel drum service will provide the perfect backdrop to your meal.